The original Audi TT Roadster changed the car industry with dramatic styling and yet cleverly using a common platform to keep production and development costs down. 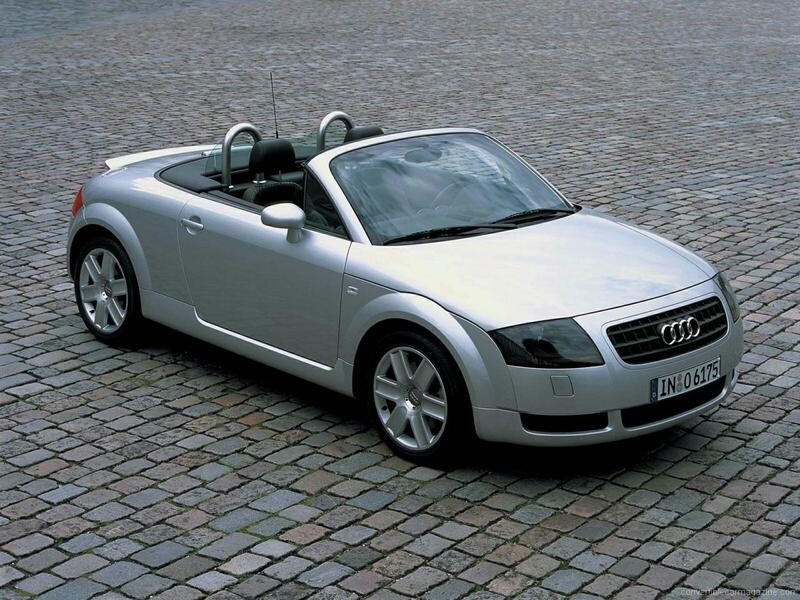 The first generation TT is a very individual car with love it or hate it looks. 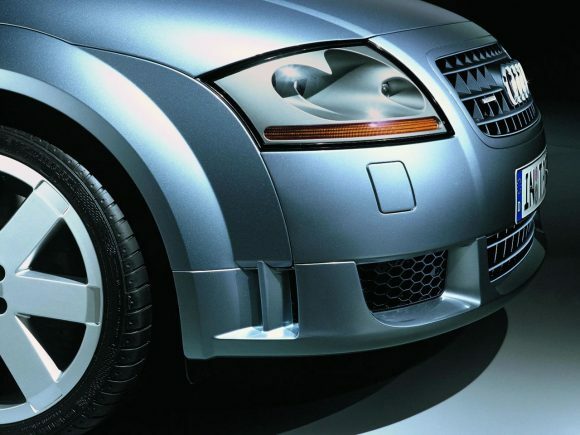 However, nobody can deny the Audi build quality and attention to detail. The design stayed true to the original concept and wasn’t watered down to please all tastes. The iconic design is likely to attract classic status before long. It has a good range of engines (the 1.8T being available in a number of turbo output settings), two and four wheel drive and deliberate if uninspiring handling. 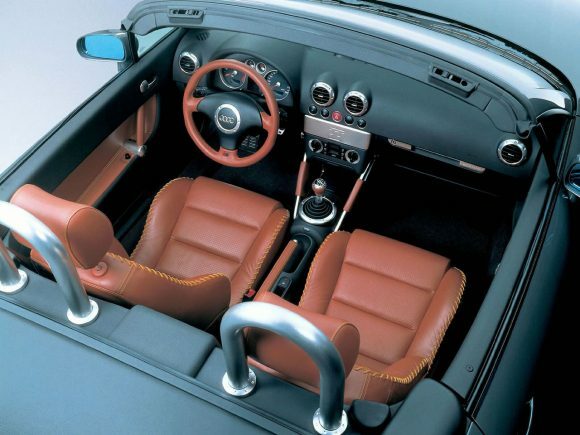 Although the Roadster was at the top of its class in 1999 when it was introduced, it was later put in the shade a little by its newer competitors. A second generation model was introduced in 2007. The 1.8 litre turbocharged engine was responsive and lightweight. 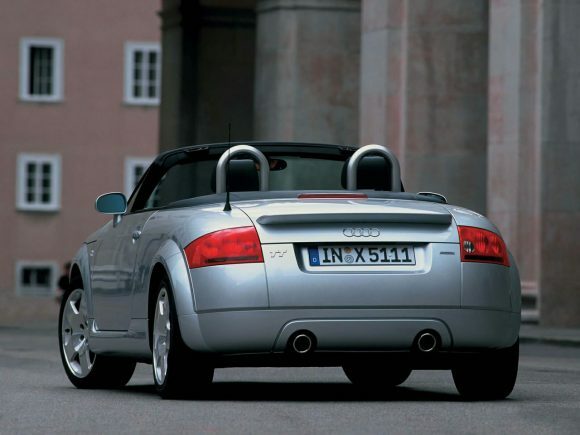 With all-wheel-drive and the zesty turbocharged engine the Audi TT Roadster 1.8T Quattro is confidence inspiring to drive quickly in all weathers. The engine is responsive and lightweight making it well suited to this popular little roadster. The pick of the bunch of course, is the uprated 225bhp version which offers up some serious performance. The neat fabric roof does a great job of noise and cold insulation. 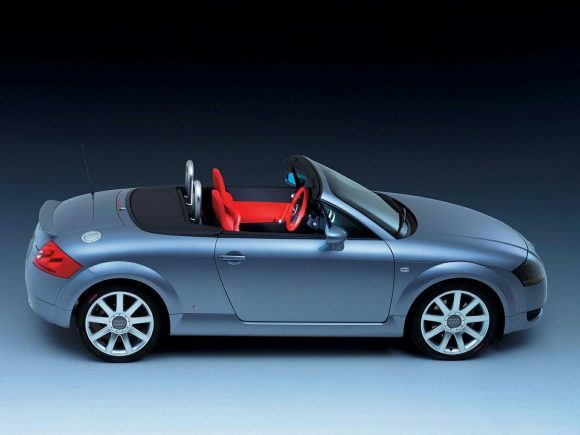 The compact 3.2-litre VR6 engine slotted into the Audi TT Roadster chassis nicely and provided a smooth and sweet sounding flagship for the range. The clever engine design with staggered cylinders in a narrow angle allowed 6 cylinders to take up little more space than a conventional inline 4 and was also used in several compact cars such as the VW Golf and Audi A3. Power output was only marginally more than the lighter turbocharged Quattro model but the soundtrack made it feel like a much more special car. Sadly the extra fuel consumption of the larger engine helped to make it a less popular option. 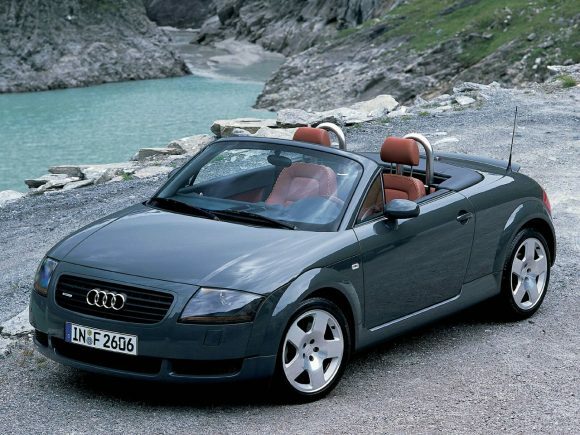 Do you drive an Audi TT Roadster 8N? Would you recommend it to others? Join the conversation and let us know what you think of the car. This Audi currently has 2 owner reviews. Great car I’ve had mine 3 years now and its never missed a beat. Dsg gearbox is faultless and generally speaking the car is quite economical considering. Extremely fast great leather trim (red ) makes it look the business. A good entry car into the performance car group. I hated TT’s. I thought they were ugly little git’s, Like a fat little frog sitting in the gutter! Then. Years later my son asked me to go and pick one up for him up north… It was a Mk 1 convertible 2000 year Quattro (225 engined). As I drove it home I started to get accustomed to the interior ( all leather ) the quality was sumptuous, Everything seemed snug and well built, The more I looked at the ‘little git’ it started to dawn on me that I was miss reading its beauty It was actually very ahead of its time… Its ‘fat little bum’ has become a thing of beauty Its froggish lines grow on me every time I look at it Squatting in the pavement… I now want one !! It drove very fast, brilliant acceleration, The roof had to be opened and closed manually ( electrical fault had occurred ). The car rattled over bumpy roads ( front ball joints had to be replaced ). They can be bought separately. And cost £27 each and £60 quid to fit, Rattle has now gone, Other than that the car is a joy to drive,… I’m buying it ! !